One week ago I have announced that I will be giving away a one year Smugmug pro account and all you had to do is comment on the post and share some love. I have received 32 people showing their interest in this and, to be fair for all, I randomly selected @jimgoldstein from jmg-galleries to pick the lucky winner! So congratulations are in order for Stefan, you have till Friday 23:59 GMT to claim your win by leaving a comment here, otherwise we will have to choose another lucky winner ! I cannot forget to thank our wonderful sponsor Smugmug for always presenting us these wonderful giveaways. Wow 🙂 Congrats to the winner! 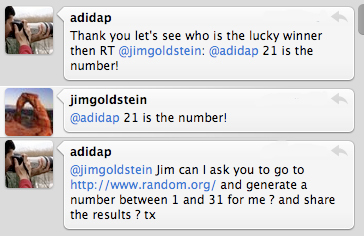 Wow, if i’m counting correctly the winner could be me! Am i right? Is so i’d say: YEEEEEEEHAAAAH! !